NSERC Awards $360k in Energy Reduction Grants | Mentor Works Ltd. In 2016, the installed wind power in Canada was ~12,000 MW (6% of the electricity demand), with Ontario and Quebec generating the highest share. Energy created from the wind is shifting and irregular, making energy storage very important to not only maintain order, but also to address the geographical gap between energy supply and demand. The government of Canada has recently invested into a first-of-its-kind project being conducted by McGill University and Xebec Adsorption Inc. to target the increasing distribution of Renewable Natural Gas (RNG). McGill University and Xebec Adsorption have received $360,000 in energy reduction grants from the NSERC Collaborative Research and Development (CRD) program. The NSERC Collaborative Research and Development (CRD) program supports long-term, collaborative partnerships between industry and post-secondary researchers carrying out research and development initiatives. 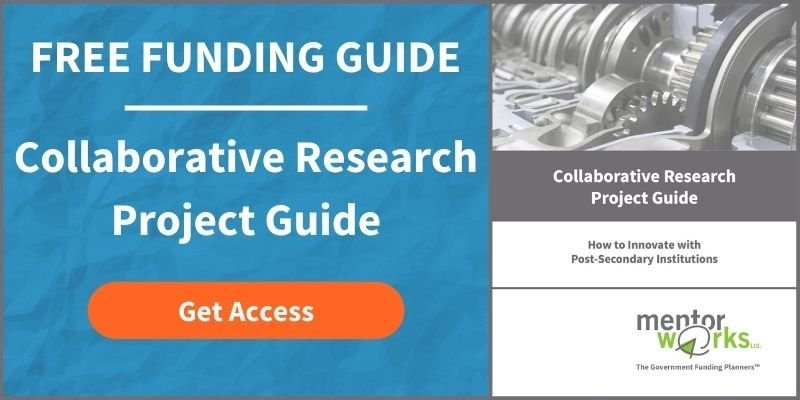 Through the program, organizations can advance innovation challenges and generate new processes, products, and services with the help of post-secondary researchers. McGill University and Xebec Adsorption Inc. have combined knowledge and resources to co-develop a prototype reactor to produce Renewable Natural Gas (RNG) using the Power-to-Gas (P2G) process. They have received $360k in energy reduction grants over a period of three years from the NSERC Collaborative Research and Development. McGill University in Montreal, Quebec, is a leading Canadian post-secondary institution, with over 300 programs available and approximately 41,000 students attending annually. Xebec Adsorption Inc., based out of Blainville, Quebec, specializes in the design and manufacture of separation, purification, filtration, and dehydration equipment for gases and compressed air. Their mission is to offer sustainable gas generation, purification, and filtration solutions that can transform raw gases into sought-after sources of clean and renewable energy. The Power-to-Gas (P2G) process combines electricity generated by renewable sources and CO2 generated from waste, allowing for a much larger storage capacity and discharge time than currently used technologies (such as batteries and pumped hydro storage). The P2G process uses renewable electricity to produce hydrogen via water electrolysis, which is then converted into Renewable Natural Gas (ex. methane) using the carbon dioxide captured from municipal waste. In this way, the existing gas distribution infrastructure technology can be used to ease energy storage issues posed by renewable energy systems. The prototype reactor will have an output of 0.3 to 0.5 kW, with plans to scale up in a second phase. Clean technology grants from the NSERC Collaborative Research and Development program support partnerships – such as that of McGill and Xebec – that benefit Canadians economically, socially, and environmentally. Their P2P project will generate knowledge and help develop technology that could revolutionize the energy storage market in Canada. Provided through the Natural Sciences and Engineering Research Council of Canada, the NSERC Collaborative Research and Development program offers long-term government grant funding to support research and development opportunities between academic and industry partners. NSERC funding can provide eligible projects with up to $200,000 in research grants per year for five years to a project maximum of $1 million. Projects that are eligible for funding should solve a natural sciences or engineering challenge, have a detailed budget or plan, be at any stage of the research and development cycle, and have a specific short- to medium-term objective that can be measured over time. The program accepts rolling applications; no deadlines. Projects can take place over one to five years.